24Option Review 2019 – Demo account, App, Scam? 24Option is one of the most well-known names in the CFD-trading and forex industry, and they are also one of the most used brokers. In 2017, 24Option decided to rebrand themselves which means that they are currently only offering CFD and forex trading. You’ve probably heard about 24Option before, especially if you are interested in MMA and more specifically the UFC because 24Option used to be the official sponsor for Conor McGregor. Unfortunately, that collaboration ended a few years ago due to a disagreement. However, since then 24Option has cleared their name and are now the official sponsor of the Italian football club Juventus. For many years, 24Option has been one of the most respected brokers in the entire industry and they have had thousands of happy customers from all over the world. A few months ago they decided to rebrand as a forex and CFD broker and they have managed to maintain their reputation. 24Option offers a stable product with a good selection of assets on one of the best platforms in the world. Additionally, they have a professional customer service that is eager to help. 24Option are well on their way to becoming one of the best forex brokers on the market with a great selection of CFDs on all markets. For the broker, it's been an impressive journey to say the least. In this 24Option review, we will put the popular CFD and forex broker to test and see what they are all about. And here we are going to give you a little overview of what we are going to look at. Is 24Option a safe broker or a scam? What trading platforms are 24Options offering? Computer? App? What account types do they have? real account? Demo account? What assets can you trade with 24Option? And finally, you will be able to find some user reviews. 24Option Scam? Is 24Option a Legit Broker? Yes, there is no doubt that 24Option is a legitimate broker that you can trust with your money and investments. We have worked in the business for many years and based on our experience we can guarantee you that 24Option is trustworthy. The reason we say this is because they have been licensed and regulated by the two leading authorities in Europe. Getting authorized by both the Cyprus Securities and Exchange Commission (CySEC) and the Financial Conduct Authority (FCA) is the best way for a broker to prove their legitimacy. Additionally, 24Option is always striving to be better with constant updates to their platforms, products, and safety measures. We have followed them for years and have had the pleasure of seeing them improve a lot. As you might know, 24Option used to be a binary options broker, but a while ago they decided to upgrade their service. Since then, 24Option has rebranded themselves completely and has now put their complete focus on the forex and CFD market. 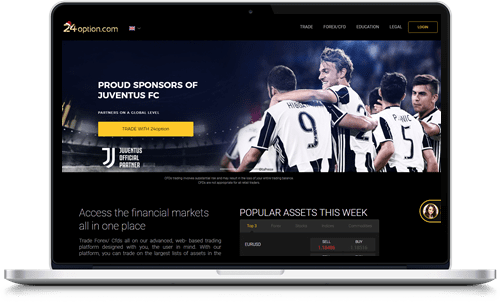 Another reason that confirms that 24Option is not a scam is that they recently started a collaboration with the legendary Italian football club Juventus as the official main sponsor. And we are certain that an established sports club like Juventus would never be associated with an untrustworthy business. 24Option’s licenses from CySEC and FCA coupled with their collaboration with influential companies should make you confident that 24Option is reliable. There is really no need to worry if your money and personal information is safe with 24Option. 24Option used to be one of the most respected binary options brokers in the business, but they have since changed their focus to the CFD and the forex market. Now, they are already one of the most respected brands in the market, and we are impressed by their dedication. 24Option has a long history of sponsoring sports teams and major athletes such as UFC fighter Conor Mcgregor. Today they are the main sponsor of the Italian football club Juventus. Sine 2017, 24Option has offered access to CFDs on a selection of cryptocurrencies, and they have announced that more will be added continuously. To us, that is another sign of 24Option’s ambition to be an innovative market leader. This broker has been authorized by two of the strictest regulatory bodies in Europe. CySEC and the FCA enforce trading regulations on brokers within the European Union (excluding Belgium) but also on an international level. Since 24Option has a license from both, you can rest assured that they are 100% legitimate and that they will put you and your safety first. 24Option has developed a rather unique account system that’s based on how much you’re willing to deposit and trade with. The system creates fair and versatile opportunities for their customers. In 2017, 24Option introduced forex and CFD trading to their selection of assets, and since then they have updated their platforms to support the new markets. This means that they are no longer providing their much appreciated Scipio platform that so many traders were used to. But it’s not as bad as it might sound because 24Option replaced Scipio with MetaTrader 4, one of the top platforms. MetaTrader 4 is the world’s leading forex platform and one of the most stable platforms that has ever been developed. In fact, it came as no surprise that a leading broker like 24Option decided to collaborate with MT4. MetaTrader 4 serves a huge selection of satisfied customers from all over the world and if you haven’t heard about the platform before it’s about time you check it out. The platform is extensive and requires downloading if you want to use all the features. There is also a web-based version of the platform called WebTrader. It doesn’t seem like 24Option has integrated WebTrader with their service yet, but it is just a question of time before that becomes available too. The web-based version of the MetaTrader 4 is called the WebTrader, and it is one of our favorite platforms. There is no need to download any software to use this platform and all the trading is done directly in your browser. Many people prefer to trade like this since it’s more practical and it also allows people that use Chromebooks, Windows 10 S, or other app-based computers to trade with 24Option. For obvious reasons, some of the tools are slightly limited on the web-platform compared to the downloaded version, but you still get access to everything you need. As a part of the MetaTrader 4, 24Option provides you with the opportunity to use some of the world’s most popular charting tools. Right now, the 24Option platform comes with three charting tools, over 50 technical indicators, and best of all the option to completely customize the platform for your needs. That’s right, MT4 is a customizable platform that you can shape and adjust for your specific trading style, and it makes the user experience as personal and efficient as possible. Let us clarify: 24Option has stopped offering binary options to focus on forex trading instead. Hence, they have also updated their platform and are now working with MetaTrader 4. The decision to stop offering this type of trading was taken long before ESMA banned the market in Europe. Proffesional traders can still trade with binary options, in order to meet the qualifications, you will have to answer a few questions from 24Option. What sets 24Option apart from many other leading brokers is that they have decided not to follow the regular model with one trading account, one premium account, and one demo account. Instead, they have developed several premium accounts for different budgets and turnovers. Read more about the different accounts below. 24Option’s demo account is available to all traders regardless of what trading account you use. The demo account is unlimited and provides access to MetaTrader 4 and all its fantastic tools in a risk-free environment. As per usual, the demo account is very useful for beginners and novice traders, but 24Option is very clear with the fact that it’s available to everyone. You see, traders at any level can benefit from a demo account, it doesn’t matter if your budget is $10 or $250,000. The 24Option demo account is perfect for strategy development and practice since it offers risk-free trading under real market conditions. Basic is the name of 24Option’s traditional trading account and it can be opened by anyone without any budget or activity requirements. The account comes with a dedicated account manager, daily market summaries, and an introduction to the new MT4 platform. Silver is the first premium account and it is very similar to the basic account but with a few perks, the account also requires a deposit of $2,500. Some of the advantages of this account are trading tutorials and lower to no fees. Gold is the name of the account that comes after the silver account. To open a gold account you need to deposit $25,000, and for that price you get access to a Senior Account Manager as well as personal training with the MetaTrader 4 platform. Platinum is the second most advanced account and it requires a deposit of $100,000. In addition to all the above-mentioned perks, this account gives you access to a risk management class along with several courses in investment and advanced strategies. Diamond is the most exclusive account that 24Option offers. The account requires a deposit of $250,000 to be activated and for that price, you get a lot of benefits. The Diamond account is similar to the Platinum account but you can expect invites to exclusive events and regular gifts from 24Option. We really like this unique account setup that 24Option has chosen because it makes the broker different from most other brokers that tend to only offer two or three different accounts. Let’s be honest, we all have different goals, amounts of available funds, and our own trading styles and we want the option to choose an account that fits us. Starting a 24Option demo account is quite the easy process, unlike a real account, the demo registration process is much shorter and you don’t need to validate your account. If you, later on, want to create a real account, you will still have to go through the validation process. The 24Option demo gives you full access to their trading platforms and it is quite an experience. Enjoy it and make sure to put the demo account to test. There are some big differences that you need to be aware of. The Demo account experience is not the same as the real account experience. Trading with real money involves a lot more emotions. The demo account does not always work exactly the same as the real account, for example, some functions might not be available. Even the terms and conditions will usually be different, be careful here and make sure you understand the conditions of the real account. We have good news for everyone who prefers to trade on a mobile device. MetaTrader 4 comes in a very practical and stable mobile version for your smartphone and tablet. The only downside is that the features and tools are somewhat limited. However, that is how most trading apps work, and it’s nothing we can blame on 24Option or MetaTrader 4. To gain access to the trading app and start using 24Option on your phone you can either visit the 24Option website or go straight to one of the app stores. 24Option’s new selection of assets is really impressive, and it has steadily been growing since they switched from binary options to forex and CFD. According to 24Option’s website, they offer a little more than 100 assets, but after taking a closer look we got the feeling that the number is closer to 200. Currencies are one of 24Option’s biggest focus groups, and you can expect to find all the leading currencies such as USD, EUR, JPY, CHF, CAD, and a few other big currencies. Unfortunately, they don’t offer any smaller currencies such as SEK, NOK, and TRY. Commodities can be traded as CFDs with 24Option and you have 15+ options to choose between, including coffee, gold, soybeans, sugar, platinum, natural gas, and Brent oil. 15 might not sound like a lot but it is actually more commodities than the majority of brokers offer. Stocks can also be traded as CFDs and this is the biggest selection of assets that 24Option offers. In the list of available stocks, we found close to 100 of the biggest companies such as Facebook, GE, Disney, and Coca-Cola. Indices is another available asset, and 24Option has about 20 of them with a focus on classic indices such as Dow Jones, S&P 500, NASDAQ, etc. The actual size of their selection is a bit of a mystery since we find contradicting information everywhere. On some pages, 24Option claims to have the largest selection in the industry while they also claim to offer 100+ assets which would be far from the largest selection. The only thing we are certain of is that 24Option provides access to the most popular currency pairs, some of the most lucrative stocks and indices, a handful of great commodities, as well as a collection of cryptocurrencies. And honestly, that is more than most traders need. CFD trading is always leveraged on the 24Option platform. Leverage trading is a method that increases your trading ability by multiplying your invested amount which means you can make larger profits but also larger losses. It is advisable that you learn how leverage works before you sign up with a broker so that you don’t expose yourself to unnecessary risks. You can learn more about 24Option’s leverage in their educational material, and we will round things up below. As a European citizen, your access to leverage is limited due to regulations. That means that the highest leverage you can use is 30:1 on major currency pairs and the smallest is 2:1 for cryptocurrencies. However, you can be exposed to even more leverage if you are residing outside of the European Union. For a detailed list of the leverage available for each asset, we suggest you visit the 24Option leverage page or open an account with them. Also, we recommend that you take it easy with leverage trading in the beginning and encourage all beginners to first open a demo account and test it out before you start trading on 24Option’s leverage. 24Option recently decided to add cryptocurrencies to their selection of assets and we couldn’t be more excited about it. 24Option are currently offering CFDs on Bitcoin, Ethereum, Litecoin, Ripple, and Dash, but they make it very clear that they are prepared to add more digital currencies when they see fit. Since you trade the cryptocurrencies as CFD you never buy the actual currency but rather speculate on their price. As you might already know, we love cryptocurrencies and we have a great respect for all the early adaptors. To us, the fact that 24Option chose to offer cryptocurrencies proves that they are willing to adjust themselves to an ever-changing market. Not only does 24Option provide access to CFDs for several of the largest cryptocurrencies, but they also offer a comprehensive educational section about cryptocurrencies and where they originate from. This is extremely valuable for new traders that want to get into the market and experienced traders that need a little information before they get started. But why should you trade cryptocurrencies? Obviously, that’s a personal choice that you have to make on your own, but you should know that there are several benefits to this new market. The main benefit is that the cryptocurrency market is highly volatile and that there are a lot of price changes on a daily basis, which is perfect for CFD trading. Some would argue and say that the volatile nature of the market is what makes it so attractive and why it has become such a boom lately because compared to the stock market that develops quite slow, the cryptocurrency market is full of action. 24Option is run by a company called Rodeler Limited with their main office in Cyprus and several smaller offices in the rest of Europe, mainly in England and Germany. Rodeler Ltd. has a license from and is regulated by Cyprus Securities and Exchange Commission (CySEC) with license number 207/13. This license gives them the right to offer their services in most of Europe (Belgium and Switzerland excluded). Rodeler Ltd. also has a license from the Financial Conduct Authority (FCA) in England, and that license encompasses all traders from the UK. 24Option also has a subsidiary called 24Option International that offers trading services on a global scale. However, many countries are excluded from the list including the United States, Canada, and Japan. Like everything else 24Option provides, the registration process is in accordance with the regulatory bodies guidelines as well as laws for the European Union and beyond. The current trading laws in Europe stipulate that there are several things one has to do before you can start trading with a CFD broker. This includes proving your identity and testing your knowledge. Below you’ll find an overview of the process and what is needed from you before you can start trading with 24Option. The first thing you need to do is follow one of the 24Option links on this page. They will redirect you to the registration process. After you’ve done that, you will have to submit information about who you are. For example, 24Option will ask you to provide your full name, address, email, phone number, etc. Make sure that all the information is correct and that you can verify it later on, otherwise your registration process will fail. In order for 24Option to get a better understanding of who you are and what your previous trading experience looks like, you will have to answer a couple of basic questions about CFD trading and leverage. This is something all forex and CFD brokers do to evaluate how much leverage and margin they can offer you, and if you need any deposit and withdrawal limits. It might seem strange, but if you think about it, you’ll realize that it’s the best way for a broker to ensure that their services are fair and that they don’t expose customers to unnecessary risk. 24Option also requires that you verify your identity before you start trading. Anyone who wants to offer financial services to customers needs to make sure that their customers are who they say they are. To verify your identity, you will have to submit two different documents. Proof of Identification – A photocopy of your passport, driver’s license, or national ID card. The copy has to include all the information on the identification, and if the image isn’t clear enough, 24Option can refuse it. Proof of Address – A utility bill (electricity, water, phone) that’s no older than 6 months, or a recent bank statement. The document needs to include your full name as well as your address. Sometimes the registration process takes a while since 24Option has to confirm all your information, and at times they might even ask you to provide additional information as they see fit. However, as soon as you’ve been approved, you can go ahead and make your first deposit. Choose the payment method that you prefer and deposit the money you want to trade with. If you make a deposit using a credit card you will have to verify the card by sending a copy of the card to 24Option. Note that you will have to go through the verification process (stage 3 above) for each new credit card that you want to add. As soon as your account has been verified and your first deposit is on your trading account, you can start trading. We do suggest that you ease into it, especially as a beginner. Remember that it is always better to start with smaller investment amounts that you can add to than go all-in and lose it all. Many professional traders follow the 30/70 pattern where they never invest more than 30 percent of their available balance, always leaving 70 percent left. By doing the same, you will never run out of cash and you will limit your risk. We’ve already talked about 24Options’ demo account several times, but we really think it is worth mentioning again since it is an incredible feature for traders with any experience. A demo account is sometimes referred to as a practice account or day trading simulator, and it’s essentially a risk-free account. It works by 24Option providing you with a predetermined sum of virtual money that you can use to trade assets under real market conditions on the MetaTrader 4 platform. However, since you’re using the virtual money, you’re not risking anything, and if you run out of money, 24Option will refill your balance. Why would a broker offer a free account? In our opinion, there are three benefits for a broker to offer a demo account. There is really no point in always using a demo account and never investing your real money, and 24Option knows that. There might be a fraction of a percent that only wants to trade with virtual money, but the majority of traders are looking to profit with real money. The demo account serves as a door opener, and it helps 24Option with their transparency. Most traders that use demo accounts are beginners, and they use the risk-free accounts to learn how one effectively trades on different markets. It can be both nerve-wracking and expensive to start trading with hard-earned money right off the bat, and a demo account provides an opportunity to learn some useful skills before entering the world of real trading. Experienced traders use demo accounts to practice and perfect techniques. Let’s say you read about a new strategy or an analytic method that you haven’t tested. But before you start trying it out with the risk of losing unnecessary money, you test the new technique on your demo account. Sometimes this usage is called day trading simulations. It’s easy to switch between the 24Option demo account and the regular trading account meaning you can easily integrate the risk-free service with your normal trading. We always want you to stay safe when trading and there is something you need to know about demo accounts. It has been proven that humans are more risky and inconsiderate when they get to use money that isn’t theirs or that is fake. In other words, people use poor judgment when spending money without consequences. Because of this human trait, most traders act differently with their demo account than they would with their real money. The issue is when people fail to switch back their mindset. Sometimes a trader may make a number of highly risky trades on the demo account and then continue the pattern on their real account and end up with large losses. The point we want to emphasize is that we want you to be safe and responsible. Try to separate demo trading from regular trading. Some of the local deposit methods that 24Option provides are Giropay (Germany), Postepay (Italy), Moneta (Italy), Sofort (Germany), etc. As a regulated broker, the available payment methods 24Option can choose from are influenced by CySEC and FCA. The main reason a broker gets a license is to protect their customers, and in order to protect them from theft, only the safest options are available. As you can see, 24Option’s payment methods are standard services that you’ve probably heard of and used in the past. This is to make it as easy and safe as possible for customers to deposit and withdraw funds from their accounts. 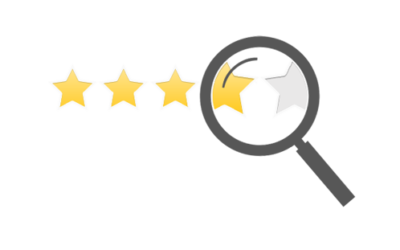 To us having a great customer service is essential for any industry-leading broker that wants to uphold a great reputation, and we think that 24Option has excelled with their customer service. If you ever need to contact 24Option, you have a few options to choose between. In our opinion, the easiest way is through the live chat that’s offered on the 24Option website. The service puts you in contact with a customer representative in a matter of minutes, and in most cases, they can help you out very quickly. We have used the chat on more than one occasion and are happy with the help we received. You can also call 24Option on one of their many local customer service numbers, just be aware that you might have to wait a while before you’re connected to the next available staff. The quickest way to find out what number you should call is to visit the website directly. 24Option will detect where in the world you are, and they will provide you with the most suitable number for that region. Your last option is to contact 24Option via email or the contact form provided on the website. Emails are answered in a timely and professional manner, and it’s a great way to get answers to questions that aren’t time sensitive. The 24Option headquarter is located in Limassol, Cyprus at Kolonakiou Street Limassol 4103. It is from this office that most of the operational tasks are handled, but the broker also has several international offices spread out around the world. Some of those locations include London, Mexico, Saudi Arabia, Belize, South Africa, New Zealand, Singapore, Malaysia, etc. If you, for some reason, need to contact a physical office we advise you to visit the broker’s Contact Us page. It features an interactive map that shows you all the offices and which office is closest to you. User Experience: What is it Like to Trade with 24Option? We are big fans of MetaTrader’s platforms and we have a lot of experience using them with several different brokers. Therefore, it should come as no surprise that we really enjoy trading with 24Option. All of the platforms work seamlessly and the tools and features 24Option offers is everything you need and then some. There is a trading solution for everyone, whether you want to trade on a computer, in your browser, or even on your smartphone. The downloaded version of 24Option’s platforms is the MetaTrader 4, and it would be an understatement to call it a great trading tool. It is quick, highly responsive, easy to navigate, and packed with all the latest trading features and tools. Opening and closing positions are very easy, and you have easy access to all your open trades at any given time. All things considered, this is a world leading forex trading platform in its essence. In addition, the web-based version of 24Option’s MT4 is close to as good as the downloaded version. In fact, online trading platforms have become so good lately that we have been doing most of our trading online for the past few months, and 24Option is not an exception. It’s also so practical that you don’t have to download anything and can just trade directly from the browser on any computer. The app comes with practical trading alarms and signals that you can activate based on your own preference and analytic work. Lately, 24Option has put a lot of effort into creating a massive database full of educational material for all levels, and we’re loving it. Under a tab called “Education” on the 24Option website, you’ll find a large selection of useful material in form of text and videos for both beginners and experienced traders. Advanced Trading ebook – 24Option has created an ebook that covers several interesting subjects such as trading psychology, market analysis, and trading strategies. The book is free and well-written, and we recommend that everyone takes the time to read through it. Also, the 24Option eBook is interactive, and at the end of each chapter, there is a quiz with several questions regarding the content you just read. Daily Market Reports – To help you stay up to date on the latest developments and events, 24Option provides a daily market report. Here you will find information about the biggest gains and deepest nosedives but also predictions and general investment advice. 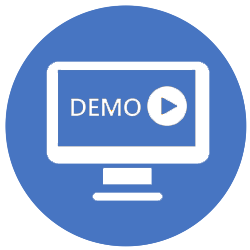 Video on Demand (VOD) – This section contains a number of videos that explain everything from how CFDs work and how you best use the MetaTrader 4 platform, to advanced trading strategies. It is a great resource of information for everyone. Trading Strategies – Do you want to learn more about trading strategies? Then this section is for you. Learn more about technical and fundamental analysis, trends, charts, and everything you need to plan your investments based on actual data. Webinars – 24Option arranges webinars on a range of different topics with some of the best trading experts in the business. You can find an interactive calendar on the website where they list all the upcoming webinars and events. Remember to sign up for the free trading classes in advance so that you don’t lose out. In addition to these sections, 24Option offers guides and instructions on a long list of subjects, and as a customer, you will get access to an impressive amount of really useful trading advice. Like most of the brokers in the industry, 24Option is a commission-free broker and having to pay commission is nothing you have to worry about. However, 24Option also needs to make a profit and so they do make sure that they make a little something from all their customers. This income is based on two things: spreads and fees. Let’s take a close look at what it is and how much you pay. Spread is the difference between a buy and a sell price. It’s a small charge that 24Option and every broker in the industry charges for each trade performed on their platform. You can look at it as the cost of opening a position. The amount you pay is minimal and rarely more than 1-3% of the invested amount so for you it’s not a lot but for the broker that handles millions of trades, the amount quickly adds up. 24Option has three ways of calculating spread, in pips, in points (pt), and in percent, and the calculation method differs depending on what asset you’re trading. For example, last time we checked the currency pair GBP/USD had a spread of 4 pip, while the index FTSE 100 had a spread of 1pt. The lowest stock spread we found was as 0.2%, but that amount did increase quite a lot on certain stocks. As you can see, every asset has its own system, and it is important that you understand this before you start trading. Professional traders always calculate the spread before they invest so that they know how much every trade will cost them. Note that 24Option doesn’t offer fixed spread meaning every asset’s spread changes throughout the day. Because of this, it is advisable to include the spread when you decide on which assets you want to invest in since it might be cheaper at certain times of the day. 24Option also charges fees for certain products and services, such as holding a position after the market closes. This fee is called an overnight fee or a swap, and it’s calculated a bit differently depending on which asset you’ve invested in. There is also an inactivity fee for accounts that haven’t been used for a certain amount of time. This is charged to cover the maintenances fees of having an inactive account. Additionally, depending on the payment method you use your transactions can be subject to fees. These fees are always clearly marked so that you know how much each of your transaction will end up costing. Just don’t forget that the payment provider you use can have their own set of charges so you better check that too before you start depositing money to 24Option. All in all, 24Option’s fees and charges follow the industry standard and there is nothing out of the ordinary with them. In fact, some of their spread is highly competitive compared to other brokers in the industry, and some assets have had the lowest spreads that we’ve seen. 24Option used to be one of the most awarded and celebrated binary options brokers in the world, winning several awards for their excellent services and commitment to being an innovative leader in the industry. Among the awards, we find several best broker awards and prizes for their customer service. Today, 24Option is a CFD and forex broker, and even though the change from binary options to CFD recently happened, they have been recognized for their product. One good example is the award-winning platform that they offer. Due to the amazing product that 24Option has developed, we are expecting the broker to start receiving awards at all the upcoming events. This broker has made a name for themselves for all the high-level sponsorship deals they’ve had over the years. Since 24Option was founded and first launched they have had the honor of sponsoring some of the world’s leading athletes which has helped the broker tremendously in terms of brand awareness. Out of all the 24Option sponsorships, the following two partnerships really stand out. Conor McGregor – For years 24Option and UFC Champion Conor McGregor were official partners. This collaboration allowed 24Option to market their services on McGregor’s channels and during his fights. It was a lucrative partnership that came to an end in 2017. Juventus FC – 24Option has been an official sponsor of the Italian football club Juventus for several years. The partnerships have fluctuated from smaller campaigns to official sponsor deals. Right now, 24Option is the official and main sponsor of Juventus. In addition, there are some other sponsorships worth mentioning such as a long-term deal with the British football team Southampton FC as well as the legendary German tennis player Boris Becker. We often get questions about brokers sent to us by readers and people that are looking to start trading but are unsure of which broker is the best. Many of these questions are about 24Option since they are one of the leading brokers in the industry. Because of this, we decided to list the most frequently asked questions with answers to them. The questions have all been answered by industry experts and all the information has been cross-checked with 24Option. If you have a question that hasn’t been answered below, we encourage you to ask it as a comment at the bottom of this page so that we can provide an answer for you. Who is 24Option and who runs the broker? 24Option is an industry leading forex and CFD broker owned by Rodeler Ltd, a company based in Cyprus. For many years, 24Option was the leading binary options broker in the world, but they have since completely rebranded as a CFD broker. Note that the switch from binary options to CFDs was done before ESMA decided to ban binary options in Europe. What type of trading does 24Option offer? 24Option offers forex and CFD trading on a range of different assets. Forex trading is another word for currency trading, and it is done in currency pairs. CFD is short for contract for difference, and that’s a derivative that you can buy on pretty much any underlying asset. When trading with 24Option, your job is to predict if the price of an underlying asset will increase or decrease and then buy a contract that mimics that prediction. In other words, CFD trading is a way to invest without owning and in many ways, it’s easier to learn than regular stock or commodities trading. CFD trading is associated with high risk, and you should always educate yourself as much as you can before you start trading. Yes, 24Option belongs to the top tier of CFD brokers, and there is no doubt in our minds that you can trust them and the services they provide. Not only is 24Option a trustworthy business but they are also regulated by two of the toughest authorities in Europe, among others. This means that you can be confident that your personal data and your funds are protected whenever you are trading with 24Option. How does 24Option make money? 24Option and every other broker in the industry makes money from something called spread. Spread is a small fee that is charged for every trade that you perform on their platform. For certain services, 24Option also charges a fee, and you can learn more about them in the review above. Some brokers also charge commission, but 24Option is a completely commission free broker. What are the requirements to open an account with 24Option? There are several requirements that you have to fulfill in order to start using 24Option. For example, you have to be at least 18 years old when signing up, you also need to live in a jurisdiction where CFD trading is allowed (the United States and Belgium have banned CFD trading for all their citizens), and you need to be approved through 24Option’s registration process. You can learn more about all the requirements by initiating the registration process on 24Option’s website. In order to open a trading account with 24Option, you have to go through a registration process. The process is straightforward and can easily be done by anyone that has experience using the internet. During the process, you will be asked to confirm your identity as well as prove your knowledge regarding CFD trading and leverage. Therefore we suggest that you read our registration guide above and prepare yourself before you register. Do I have to verify my trading account? Yes, before you can deposit money to 24Option and start trading you will have to verify your own identity. This is done by submitting a set of documents to 24Option, and the process is explained in detail in the review above. Is there a 24Option demo account? Yes, every 24Option trading account comes with a demo account with $100,000 that you can use to practice trading and test the platform out. Your virtual money is limitless meaning 24Option refills your balance as soon as you reach a minimum level. A demo account has several benefits for both beginners and experienced traders, and it is something we suggest you start using. What platform does 24Option offer? 24Option offers their customers access to the MetaTrader 4 – one of the world’s best and most used trading platforms. The MetaTrader 4 is a practical trading tool that has been adjusted to fit 24Option’s brand. The platform comes in several versions such as a downloadable platform for computers, a web-based version as well as an app for iPhone and Android. MT4 also comes with several practical charting tools that make your analytic work seamless. Yes, the 24Option’s MetaTrader 4 comes in a mobile version that is compatible with most of the leading smartphones and tablets. The app can be downloaded from the app stores and can be used on iPhones, iPads as well as Android smartphones and tablets. However, compared to the regular MetaTrader 4 platform, the mobile version is somewhat limited in terms of available tools. 24Option has been awarded for their innovative trading app, and we recommend that you try it for yourself. You have multiple payment methods to choose from, some of the most popular in the world such as Visa and Mastercard as well as some smaller local payment methods such as Qiwi, Postepay, and Sofort. Naturally, the local methods differ depending on where in the world you are located. To deposit money, you open your verified trading account, push the “Deposit” button, choose your preferred payment method and finish your deposit. Withdrawals are available through most of the payment methods that can be used for deposits, although there are some limitations. Also, in most cases, you can only withdraw money to the account which they originate from. This is something you need to consider before you make your first deposit, otherwise, you might create unnecessary problems for yourself in the future. It depends on the method you use to withdraw your funds from 24Option. Generally speaking, it usually takes a couple of days. The best way to confirm transaction times is to check directly with 24Option since they provide a list covering all the payment methods with associated fees and times. Are there limits on how much I can trade for? Yes, there are. 24Option has several trading accounts based on how much you’re willing to trade for, and each of those accounts has different limits for how much you can deposit and trade for. The limits are set up to protect you from losing too much money and should be respected. In addition, there might be limits to how much you can deposit that are imposed by your bank. See our review above to find out more about the different 24 Option trading accounts and their benefits. Leverage trading is one of the riskiest forms of trading there is, and all CFD trading is leverage. In short, leverage trading involves you lending money (margin) from the broker to maximize your investment power to increase your potential profit. It is a fun and exciting way of trading that allows you to benefit from small market movements. But as mentioned, it is associated with an increased risk and should be handled carefully. Can I buy cryptocurrencies from 24Option? No, you can’t buy actual cryptocurrencies from 24Option. However, you CAN trade with them. You see, 24Option is a CFD broker which means they offer CFDs on underlying assets. In turn, this means that you never buy the asset you’re trading but instead, you speculate on that asset’s price movements. In their selection of tradable assets, 24Option offers 5 different cryptocurrencies that you can speculate on, among them, you’ll find Bitcoin, Ethereum, and Ripple. What makes 24Option better than their competitors? 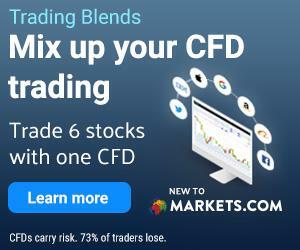 What sets 24Option apart from other CFD brokers is their dedication to be reliable, their innovatio that helps drive the market forward, and the excellent way that they have managed do adjust the MetaTrader 4 platform after their own goals and needs. Can I trade with 24Option anywhere in the world? No, 24Option is not available globally due to laws prohibiting CFD trading in certain areas of the world. In most of Europe, large parts of Asia, and Africa 24Option is available and you can find a complete list of accepted countries on 24Option’s website. Among the countries that aren’t available, you will find Belgium, Switzerland, the United States, and Australia. In the United States, CFDs are banned, and in order to offer CFD trading in Australia, 24Option would need to acquire a trading license from the Australian Securities and Investment Commission (ASIC). We don’t know if that is something 24Option is planning on, but it wouldn’t be impossible for the broker to open up the doors to Australian traders sometime in future. Yes, as a matter of fact, 24Option has one of the best and most detailed educational programs out of all the leading brokers. The material ranges from written guides to informative videos, and even webinars. 24Option can help you if there is anything you want to become better at in terms of trading CFDs and forex. Can I trade binary options with 24Option? In 2017, 24Option stopped offering binary options to completely rebrand themselves as a CFD broker. That means that you can no longer trade binary options with 24Option and that will most likely never change since the European Security and Market Authority (ESMA) banned all types of binary options trading in Europe in early 2018. CFD stands for contract for difference, and it is a derivative used to speculate on market movements. Instead of buying securities and assets, you buy a contract representing a prediction about which way you think the price of an asset will move. CFD trading is often described as investing without owning. CFD trading is associated with risk and there is no way that you can avoid that completely – the risk is what makes trading so exhilarating so you wouldn’t want to erase that from the equation. That being said, there are ways one can limit the risks, and some would argue that it is your responsibility to make sure that you do avoid unnecessary risk. We have already mentioned that 24Option has an impressive educational center where you can learn a lot about trading CFDs and forex under different circumstances. However, we did not mention that a large part of 24Option’s educational material is aimed at risk management. Risk management can be divided into several sections such as safety measures, strategy development, and reduced limits, and 24Option offers information about all of this. One of their main focuses is to educate their customers on how one best trades and the importance of using solid strategies, and to us, that is the best way to manage risk. By being educated and having a good understanding of the market, one can avoid making too many bad trades, thus avoiding unnecessary risk. Another part of 24Option’s effort to help you manage the risks with CFD trading is actual features that you can use on your positions. For example, you can active stop-loss and trails on your open positions to either protect profit you’ve already made or to avoid losing money. We and all other professional traders use stop-loss techniques as a part of our trading strategy, and we recommend you do too. We have already mentioned that 24Option is one of the leading businesses in the trading world and we really mean that. Very few brokers have what it takes to compete with 24Option. With that being said, no service is perfect, and there is always room for improvements and the same goes for 24Option. The one thing that we see an issue with when it comes to this broker has to do with their website. In some ways, it kind of feels like the website is a work in progress because it has improved a bit in the last few months, but there is still something missing. Unlike their platform, the website is quite hard to navigate and the long loading times to open certain pages can be frustrating. Also, we’re quite confused about how large their selection of assets really is. On one page, 24Option claims that they have the largest selection of assets in the industry but on another, they say they have 100+. However, when we counted it ourselves, we found more than 200 available assets. And the problem is that 200 assets is far from the largest selection in the industry, which has us thinking there must be even more. It’s confusing, to say the least, and we really hope that they will make this more clear in the future. What Do Experts Think of 24Option? My first introduction to online trading was through 24Option’s binary options platform many years ago. After that, I moved on to trade on, test, and review most of the available binary options platforms and I still thought that 24Option had one of the best platforms out there. 24Options used to be one of my favorite brokers early on in my trading days, I started out trading binary options. Somehow I ventured into CFD, forex and stock trading and my account at 24Option were not used in a long time. With the binary option ban they rebranded and I gave them a chance again, good broker, quality service and still very good with educational material. I would recommend 24Option to people who are new to trading and looking for a legit broker to get started. Try out the free demo account that they offer if you are unsure. Jimmy, CO-Founder BullMarketz.com. 24Option is not only one of the best brokers in the industry, but they have also succeeded with an incredible development. When the broker started off, it was a binary options broker and it only took them a couple of years before they made it to the top of the binary options industry. Then they decided to rebrand themselves as a forex and CFD broker and once again they made it to the top of the industry in record time. Today, 24Option has an impressive selection of available assets in the most popular markets. They have also developed an incredible trading platform and offer an array of practical and innovative charting tools. The combination of all these features is what makes 24Option a leader in the business, and we are convinced that the broker will be a force to be reckoned with for a very long time. How well does 24Option compare to the other brokers? Many of the other brokers have their roots in CFD trading while 24Option comes from binary options? does that not affect their product? It would be interesting to hear your opinion on the matter. Thanks for leavin a comment, we will try to answer you question. 24Option is an excellent choice compared to other brokers, in fact, they have much more experience than most of their competitors. They have been around for ages and throughout their entire period, they have provided a good service. The simple fact that they are coming from Binary Options is not something that lowers their quality. Rather the opposite, just more experience. They are regulated by both FCA and CySEC which literally translates to quality, any company who gets a license from either of these two is doing a good job. If the broker has both, they are doing a great job. Then, of course, you need to consider what you want to trade, make sure to check out what assets they are offering so they cover your needs. I would highly recommend that you try out the free demo account as it gives you full access to the trading platform. Good luck, let us know you have any other questions. Why is there so many questions to answer when I try to register an account? Good question. Many of the questions asked required by CySEC or FCA and they are part of “know your customer” requirements. Its the broker’s responsibility to understand its clients to avoid any unnecessary risk. If you fail to answer too many questions then you might not be even to open an account. So do your research before opening an account and more importantly make sure you understand CFDs. I am trying to create a demo account but its not working, 24 option is not offering demo?? We just talked with 24Options and confirmed that the demo account registration is working as it should. Can you try to open a demo account again? It could very well be that they had some issues on their platform at the moment you tried to open an account. I had started trading with IQ Options, which was going very well, so I decided to invest $106,000, not understanding the whole company is a fraud. At the time it had my trust, even though I was very cautious. I did trading with it for nine months. Then the main guy I was dealing with did a trade with the total amount on bitcoin, and I lost the lot!. Now traded with the demo account for a couple of weeks and I think I am ready to start depositing real money.. but many of the comments here seem quite negative so I am not sure about what broker I should use. I also lost a bit of money in the past, over $1750 when trading on forex pairs, though I am sure it was mostly my own fault, I am not that experienced. I would, however, like to point out that many of these brokers are painting a picture of forex trading is easy, which it’s not. You need to be a genuinely good trader if you want to make any profit.